Traveling east on U.S. Route 322, near the Pennsylvania border is the small town of Wayne, OH. Wayne is the home of the Ashtabula County Antique Engine Club. This club is the home of a preserved early 20th century gas station. Old time gas station in Wayne, OH. 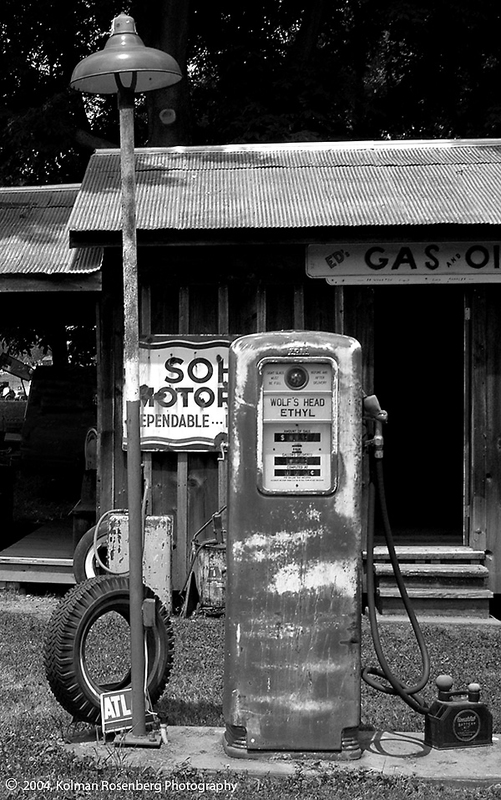 The station has a collection of old gas pumps, tires, oil cans, and during festivals there, antique cars sit in the station as well. It’s a real look back at the history of automobile travel in our country during the last century. One of the most astounding things, particularly for the younger crowd is the price on the pump for a gallon of gasoline. The price on the pump? 17.9 cents per gallon! Wouldn’t we like to see those days again! I won’t hold my breath. I’ve been here several times and enjoy the nostalgia of looking back at the days of my childhood and even further back. During the yearly shows at this club they also feature steam engines of many types and sizes. 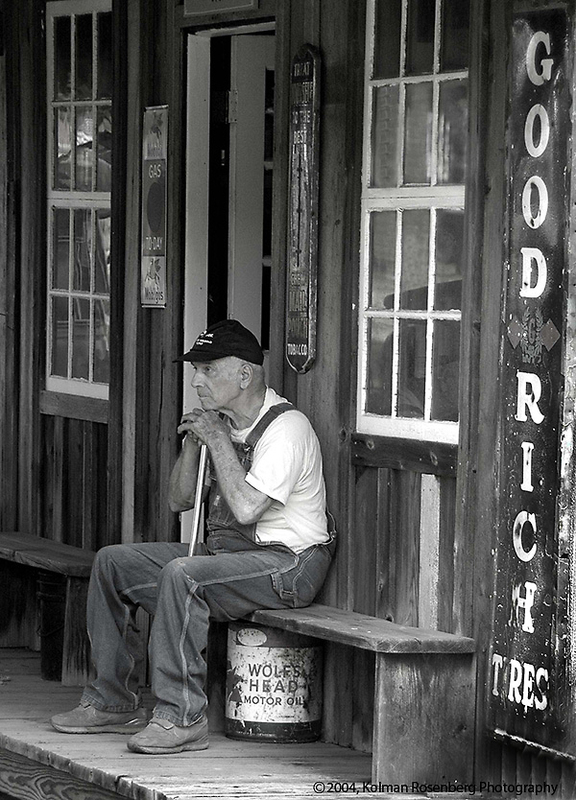 Shortly after shooting the gas station I came across this elderly gentleman, possibly reflecting on his past. It’s one of my favorite photos conveying a sense of slower times in our history. 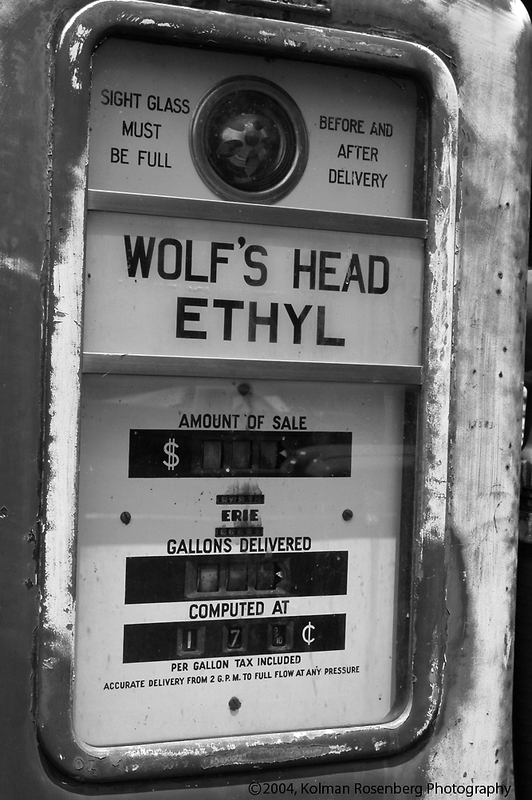 This entry was posted in Uncategorized and tagged 20th Century, antique, Atlas, automobile, Car, Engine, Ethyl, Filling Station, Gas Station, Gasoline, Goodrich, Motor, Nostalgia, OH, ohio, Oil, Petroleum, Refelcting, Reflection, Sohio, Steam, Tire, Tractor, Travel, Wayne, Wolf's Head. Bookmark the permalink. Great shots, Kolman! Easy to see why ‘Reflecting on the past’ is a favorite. Did you ask why gas is sold at something point nine cents a gallon? I guess it’s because if it’s 17 and nine tenths, that sounds a lot less than 18. Is there another reason? You’re welcome Carole. Sometimes it’s nice to look back to simpler times!